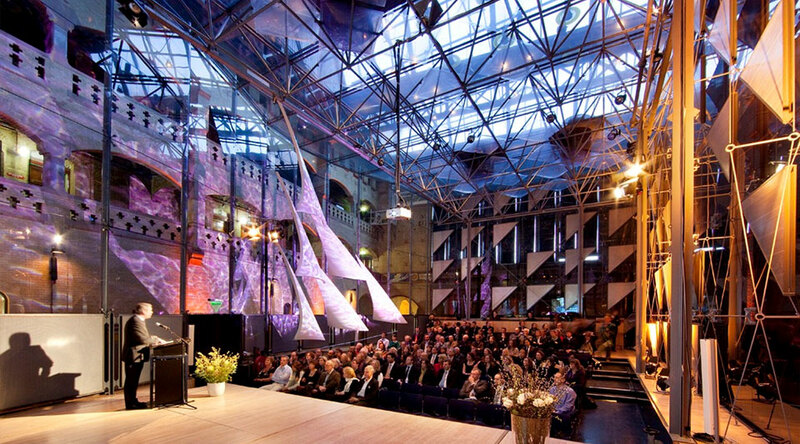 BubbleConf aims to inspire you to reach for the stars. It’s about Design, Technology, and above all Entrepreneurship. On September 27th we held the conference its second edition with a wide range of speakers. If you were there this year then we hope you had as much fun as we did! If you missed out then no worries; below are recordings of all the talks on the main stage. 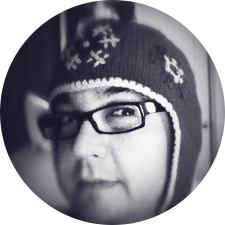 Dan is a designer, author, speaker, and dad living in Salem, Massachusetts. 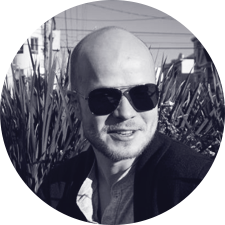 He is the Co-Founder and Creative Director of Dribbble, and the Founder & Principal of SimpleBits, a tiny design studio. 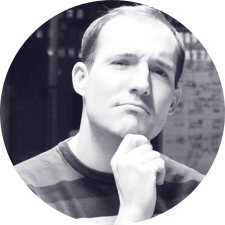 He embraces simple, flexible, adaptable design using web standards through his interface work, writing, and speaking. On top of that Dan wrote several best-selling books and is an aspiring clawhammer banjoist. Rich wanted to play pro basketball when he grew up, but found himself trapped in the body of a software developer. So he did the next best thing and co-created Dribbble, a show&tell site for designers, where he leads software development and product design. He’s built web applications for the last fifteen years at both blue chips and startups, but is happiest playing a big role on a small team, designing and developing products. He lives in Salem, Massachusetts with his wife and two children. Kyle loves to build beautiful things with software, and tools to make our future happen faster. At GitHub he's helping create a better way to design, build and ship software. Zed A. Shaw is a prolific programmer who recently gave up coding for various startups, governments, universities, and mega-corps to work on a small business helping people learn to code. His “Learn Code The Hard Way” series has been read by over a million people from all over the world. This is really all an excuse to get to play guitar whenever he’s not writing. Zed will be retiring from speaking at tech conferences and will be giving his final talk at BubbleConf. 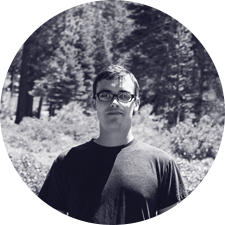 Originally a member of the infrastructure team, Jackson has worked on Facebook for the mobile web, Facebook core JS libraries, the user interface engineering team, and the internal tools team. He helped build the first versions of Timeline for mobile devices and the mobile version of the Facebook App Center. Now living in the UK, he's helping bootstrap the London engineering team. Chad Fowler is an expert emoji-ist and has a country in Africa named after him. In 2012, he received the Shark Expert title on Klout for his outstanding contributions to the seas. HE CREATED CAPS LOCK DAY and International Unflattering Profile Picture Day (#iuppd). He is best known in the software industry as the creator of the first native Ook! language implementation. 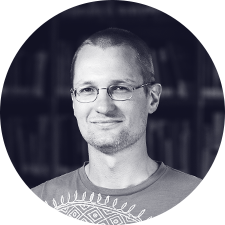 In his spare time he is CTO at 6Wunderkinder, writes popular books on programming and career development, and has co-founded and organized the international Ruby and Rails conferences. Koen Bok was one of the co-founders of Sofa, a software company known for its keen eye for design. Sofa has won numerous Apple Design Awards for their in-house products, such as Checkout and Versions. They’ve also had the pleasure of working for numerous high end clients such as Mozilla, Tom Tom and Nike. Chances are likely that you’ve already seen and interfaced with some of their work without probably even realizing it! 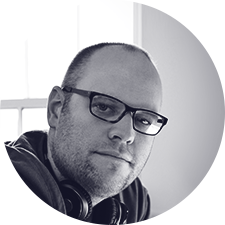 Jorn van Dijk was Sofa’s art director and is known for creating some of the most gorgeous app icons and interfaces you’ve probably ever seen. Jorn likes coming up with the big picture, then zooming in like there's no tomorrow. He'll push pixels 'til they're round. 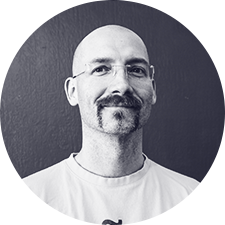 Pieter is the founder of Bohemian Coding where he mainly works on their Apple Design Award winning app Sketch. Most of his day-to-day activities still involve programming, but he has a keen interest in design and a reluctant involvement in the more business-y aspects of running a company. In the little spare time he has he likes to play (classical) piano and rant about all that's wrong in our little ecosystem. Thijs is a designer and developer from Amsterdam. He runs Fingertips, a development and design consultancy which he grew from a tiny one-man shop into a slightly less small 4-man team over the last decade, steering the offices from his attic, through shared space, into the hold of a boat. Most of his spare time is spent with his wife and their two children. He also likes to solder. Pia Henrietta Kekäläinen is an enthusiastic wonderer who can't stay still. She launched Pioneers Festival to success in it's first year, played a crucial role in taking Rails Girls to the global community it is today, received the Ruby Hero award on behalf of Rails Girls, has built the startup ecosystems in both Vienna and Helsinki and founded mehackit for kids. Her background is in business, gastronomy and diplomacy, she's lived in a handful of places, she is an alumni of the exponential Singularity University GSP13 and is on a mission to save the world. She also enjoys soaking into Zen, yoga, climbing, running, sailing, anything outdoors and wine with friends. Floor moved from Rotterdam to Vienna almost two years ago. 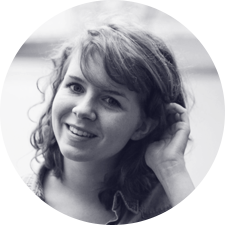 After working as a community manager for over 5 years she missed 'making stuff'. She started learning Rails and Ruby in August last year and is now confident with CSS and Rails (and PHP). Nowadays she organises Rails Girls events, works as a tech reporter for inventures.eu and a developer evangelist at usersnap.com AND is the co-organizer of vienna.rb, the Ruby user group in Vienna. She's interested in anything that touches education, teaching programming to beginners, getting more women in tech and generally the startup sphere. She blogs a lot too. 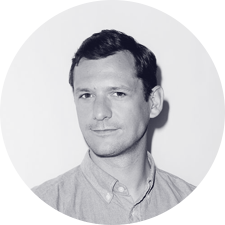 David Noël is the Vice President Community of SoundCloud. 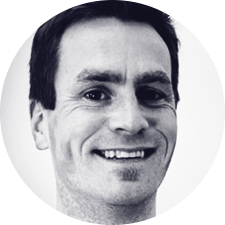 Since joining the company as its sixth team member in May 2009, David has played an integral role in growing its community of engaged users. Leading a global Community team of almost thirty, his responsibilities lie at the intersections where users meet and interact with SoundCloud and its community. As the company’s Evangelist, David is SoundCloud’s external voice, its users’ internal advocate, and currently supports the setup of SoundCloud’s NYC office. 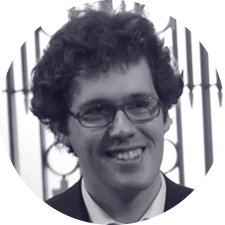 David is a Seedcamp mentor and is passionate about all things tech, start-ups, airplanes. He was named Best Startup Mentor/Advisor of the year at TechCrunch Europe’s The Europas in 2011 and was awarded SXSW Interactive’s Best Community Award in 2013. 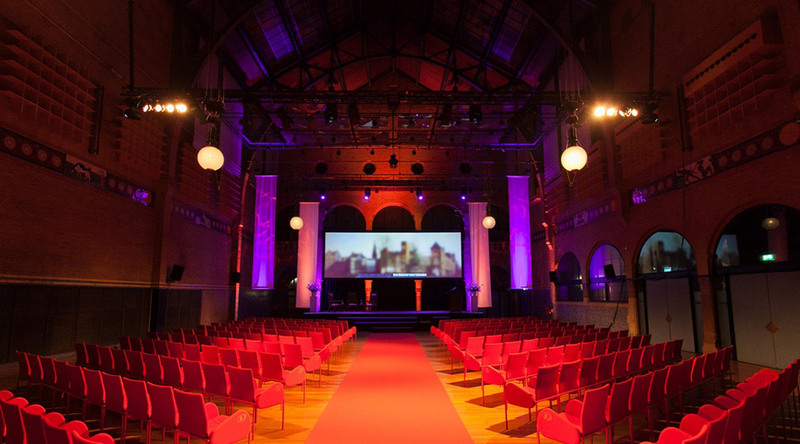 Located in the heart of the Amsterdam city centre, the Beurs van Berlage is definitely successful in delivering a suitable environment for the fleet. In 2012 we set out on a journey to organise a conference. BubbleConf was born out of our own need to explore our craft. We dreamed of being inspired and we wanted to be moved, but there was nothing out there that filled this void. So we decided to do it ourselves. Four hundred space cadets joined us in making our dream reality as our stellar lineup took to the stage. We were blown away by their enthousiasm and personal stories. It was truly a day to remember. In 2013 we'll start on a new journey. We have grown and learned. What once seemed unattainable is now within our reach. New insights found us and once again we are ready to be inspired and guided on our path through space. The world seems like such a big place, but from space it looks tiny and fragile. That kind of insight, that kind of overview and sense of amazement is what we wanted BubbleConf to be about this year. Astronauts call it the 'overview effect', a term coined by Frank White back in the nineties. From space, all of our differences, conflicts and problems become less important. This results in an urge to work together to protect our "pale blue dot". This year BubbleConf aims to refocus you on what's important to guide you towards your own goals. To remove the distractions and inspire you once again to reach for the stars. If you are an entrepeneur, a designer or a developer, BubbleConf is for you. 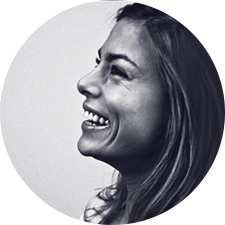 We bring together the greatest minds and allow you to meet the people who make magic happen. Our speakers are eager to share their stories, their dreams and their experiences with you. 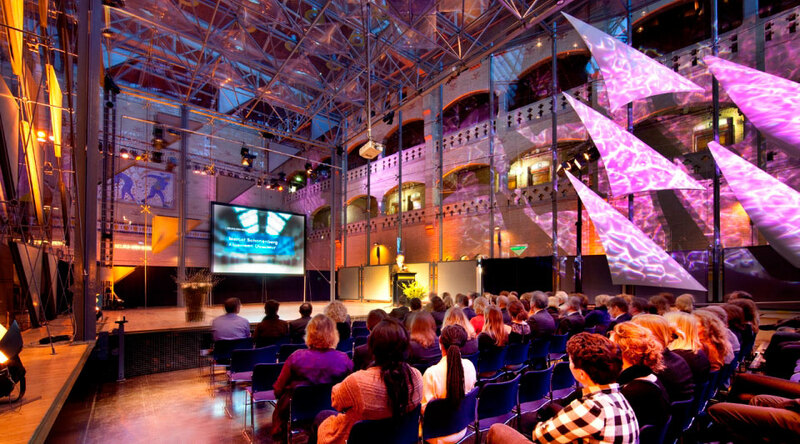 We hope to see you in Amsterdam, the 27th of September. Products are built out of intuition, experience, dedication and luck. I want to talk about positioning yourself to build the best product of your life. About building something significant and meaningful. I want to talk to you about how I accidentally came upon this position, the people who made this possible, the experiences that prepared me for this, and why it's been one of the most rewarding experiences of my life. We work in a time and culture of incredibly hard work. When someone asks how you're doing, how often do you use the word "busy" in the answer? But, what are we busy doing? As a professional musician, I learned that the most successful musicians are rarely the best musicians. This holds true in the technology business world. It's also true that the busiest, hardest working among us aren't necessarily the most accomplished. So, what is accomplishment, and how do we get it? Let's explore this topic with examples from my career as a professional musician, conference organizer, programmer, open source contributor, author of multiple books, public speaker, and high level technology manager. Growth is a dynamic moment in a start-up's lifecycle that seems to never stop once it starts. First million users? Check. Constant flow of new team members? Check. Downtimes? Check. Culture? Check. Going global? Check. This session will explore the untold stories about growth at SoundCloud &emdash; ranging from product to community to the company. It will explore the delicate balance of implementing structure in a startup without losing the core motivations that initially propelled SoundCloud to become the world's leading audio platform to iterating on our products while listening to the feedback from our community of creators to ensuring every new employee feels welcomed and aligned across multiple timezones. This is a talk about how we at Bohemian Coding built Sketch, and how we did it carefully and slowly. We'll discuss building products in general, and how we ended up getting recognition and are suddenly trying to go up against Adobe. Related to that, we'll have a look at music and design and try to get to grips with the fact that we're just not good at doing certain things. There are no magic tricks, but working hard and not taking yourself too seriously can get you a long way. Lightning talks are small Pecha Kucha style presentations that last under 10 minutes. Lightning talks provide an excellent opportunity to discover new ideas and inspiring speakers. We don't believe we need to stress the need for more diversity in Tech. What we'll do instead is explain how Rails Girls and all other beginner workshops, Summers-of-Code and study groups help lower the barrier for newcomers to the industry. Plus, we'll show how girly details can make all the difference in creating a safe environment and one of playful learning. No blaming the boys, but rather a lot of pointers on how you can help introducing more people to our ever emerging industry. Ever noticed how most business advice comes from unreasonably successful, extremely confident, and annoyingly able people? How they always come up with a list of “rules” based on their early struggles and experiences? That you should listen closely, because you won’t ever get anywhere without their uniquely valuable advice? This talk won’t be like that. 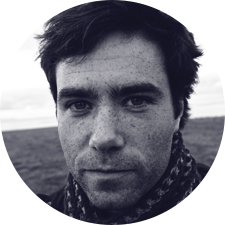 Thijs has been running Fingertips, a small design and development consultancy since the late 90s. Even though he ignored most of the conventional wisdom on client relations, hiring, management, overtime, and growth, he still hasn’t gone bankrupt yet. No matter if you run a consultancy, or plan to start a product business, this talk will help you decide what makes sense for you, which rules you can safely ignore, and how to make sure your business doesn’t end up running you. Building a complex, multiplatform product like Facebook requires supporting systems that can scale to serve more than a billion people. Getting the most value out of every piece of infrastructure we build is one of the ways Facebook has managed to stay tiny compared to the number of people who use our services. Given that, it may be surprising to learn that the way we decide what tools and infrastructure to build is very organic, often driven by just a single person's vision. This talk will make you an infrastructure coder at Facebook for a day and give you a chance to see how the women and men who make Facebook make Facebook. “I'm retiring from speaking at tech conferences. My last one will be Bubbleconf and I'm going to lay it all out in a talk titled "The Art Of The Con: Memoirs Of A Conference Trophy Nerd". Read the rest of Zed's post on his blog. Video recap of first mission. Select to play. Laurant Sansonetti: Fear, Depression, Stress, Joy. 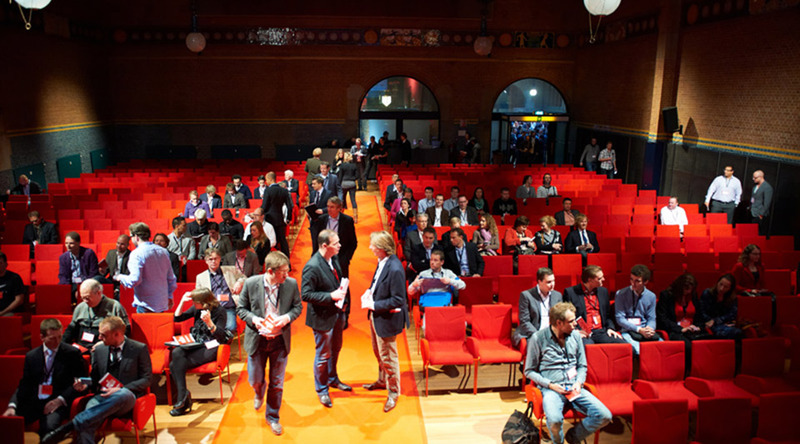 Copyright © 2013 BubbleConf. All rights reserved.